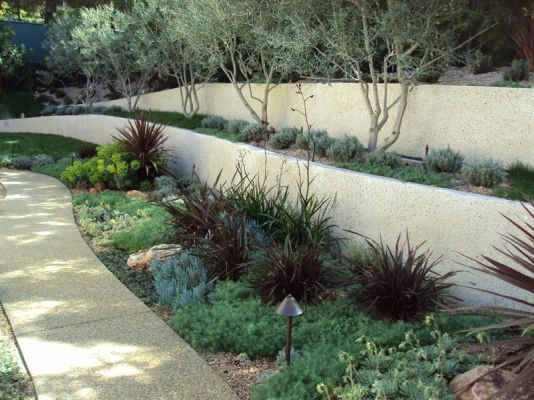 The primary objective of the owner of this late mid-century residence was to remodel his pool and to screen the neighbor behind him who had just constructed a 10 foot height retaining wall looking down into his yard. The pool was completely remodeled including the creation of the 6’ height circular waterfall feature. 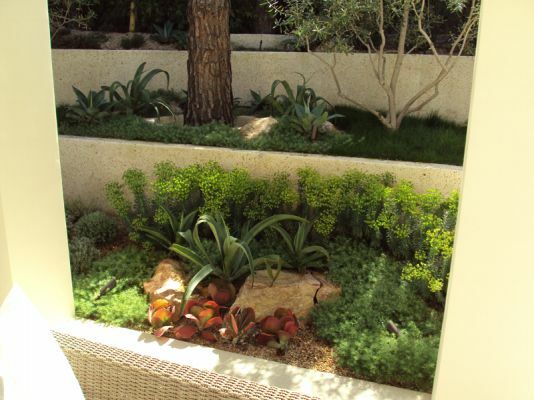 To screen the neighbor, a series of exposed aggregate poured in place retaining walls were built and the top terrace was planted with a solid hedge of tall podocarpus trees. The large pavilion was built with outdoor kitchen to provide a protected entertainment center from which to enjoy the new landscape. 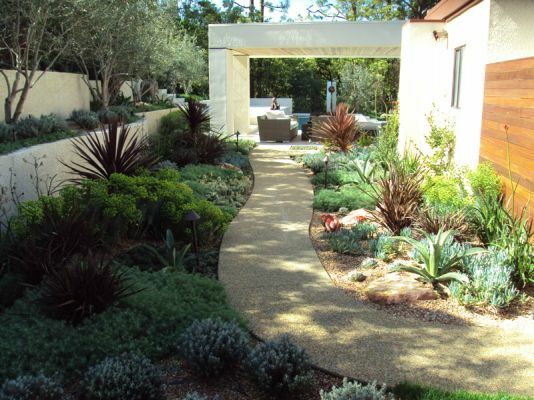 In keeping with the minimal style of the architecture, the plantings included the extensive use of succulents and other architectural plants.